And you thought Mario Odyssey was a tasty release. 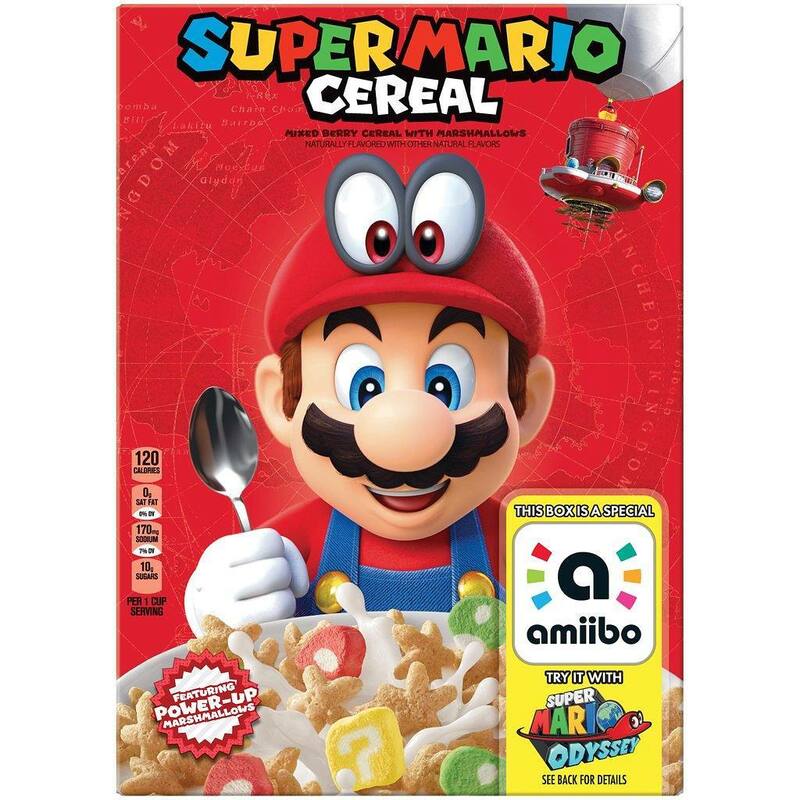 Nintendo is releasing a Super Mario breakfast cereal in partnership with Kellogg’s which functions as an amiibo. The cereal (which has yet to be officially announced) is “mixed berry with marshmallows,” with the marshmallows shaped like mario’s ? boxes. Sadly the cereal will only be available in the US so those outside will have to import the tasty goodness, sadly (though people in the UK are already writing to Kellogg's). No word on what it does yet, though it’s likely to offer some sort of power-up based on other amiibo.